There was a brief flurry of stories in the media at the beginning of what has become a historic summer of hot weather across the U.S. that global warming was to blame. They faded swiftly because the public has concluded that global warming is the mother of all hoaxes, because we are in the midst of a failing economy and the political campaigns that will decide if the nation literally lives or dies. This has not stopped the Public Broadcast System’s News Hour from airing a new series “on how climate change in the Pacific Northwest is affecting the region’s Native American Indian tribes—flooding their reservations and threatening the region’s salmon fisheries.” Climate change is shorthand for global warming. While the nation’s media continues to propagate the hoax, what hope is there for the TRUTH? Significantly “the NewsHour’s year-long Coping with Climate Change series is funded by a grant from the Rockefeller Foundation.” The nation’s leading foundations have been funding the global warming hoax for decades and continue to do so. So one more article about the deception and duplicity of global warming may seem superfluous and it would be if the U.S. Air Force wasn’t spending $59 per gallon of “green biofuel” and the U.S. Navy wasn’t doing the same for its Great Green Fleet. The justification for this is the utterly false assertion that “alternatives” are needed in the event we can’t produce or import petroleum. The U.S. is floating on an ocean of oil, but for now it can only be extracted from lands owned privately because the Obama administration has done everything in its power to restrict access to it on federally owned lands and, of course, the billions of barrels locked up off-shore. In exactly the same way that the Obama administration has presided over the loss of billions in subsidies and loan guarantees for the solar panel companies or the ridiculous costs of wind power industry compared to a single coal-burning plant, at the heart of it all has been the claim the global warming is caused by “greenhouse gas” emissions, carbon dioxide, that imperil the Earth. Recently, my friend Joseph L. Bast, the president of The Heartland Institute, wrote an article, “IPCC Admits Its Past Reports Were Junk”, posted on AmericanThinker.com. It struck me that very few people even know that IPCC is the acronym for the United Nations Intergovernmental Panel on Climate Change. Few people know that the entire global warming hoax was generated by the IPCC, let alone know what it is. Most people associate global warming with Al Gore who has been among its most prominent advocates, warning that “the Earth has a fever” and that we were doomed if we didn’t stop generating carbon dioxide. Gore and his collaborators wanted to sell “carbon credits” in exchanges around the world and for a while he greatly enriched himself. In Australia, the government has imposed a tax on carbon dioxide which it likely to destroy its manufacturing base along with the extraction of coal and other minerals. Here in the U.S. the Environmental Protection Agency continues to assert that carbon dioxide must be regulated as a “pollutant” under the Clean Air Act and, if successful, will likewise destroy what is left of our manufacturing base and all other industries that generate or use energy to function. And the man in the street remains completely clueless about the impending ruin of the nation based on the reports of the IPCC which the Inter-Academy Council (IAC), a group created by the world’s science academies to provide advice to international bodies, has long since concluded were utterly false and baseless. 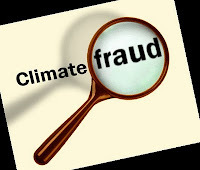 On June 27, the IPCC issued a statement saying it had completed the process of implementation of the recommendations that an August 2010 IAC analysis had made after examining who was contributing to their reports, who was reviewing their content (the same people! ), and the astonishing, utterly false, claim of “a consensus” that global warming was happening. It is a terrible thing to live in a nation governed by falsehoods, spending the public wealth on useless technologies, living under the tyranny of government departments and agencies pursuing those lies for their own agendas and political masters. Unless the harm perpetrated in the name of global warming is reversed, we shall all remain the victims of the United Nations IPCC, the EPA, and all other entities seeking to control every aspect of our lives. The poles are not melting, the glaciers are growing, the oceans rise mere millimeters over centuries, and right now planet Earth is cooling. Alan, the Australian carbon dioxide tax, or as our lying government calls it 'price on carbon', came into effect on 1 July 2012. Already our electricity prices have risen 20%; refrigerant gas has gone up by 300%; landfill and tip fees have increased by 30%; food is up. The tax has been imposed on EVERY item we buy in some form or other. On top of that, we get taxed on the rise because our GST has also risen. Our lying politicians couldn't even admit that the GST burden would rise when prices rise. I wouldn't be surprised if you get a similar tax if Obama wins in November. After all, Julia Gillard and Obama seem to copy each other at every turn. Socialists tend to flock together. We are slowly destroying our economy. A super-profit mining tax has also come into effect and this will also slow our mining down. China, who we rely on heavily to keep us going, is slowing down. Australia is in a world of hurt and all so unnecessary. See what socialist, radical, green, lefty governments bring us? I am an independent (and therefore unwanted) physicist (64 years old, and educated before the great educational train wreck of the last 40 years, which has miseducated the last two generations of physical scientists), and I disproved the "greenhouse effect" supposed to underpin the global warming hysteria, with the definitive evidence I know is needed to correct climate science. It is not just the man/woman on the street who pays no attention, what is frightening to me is that there are no climate or atmospheric scientists competent enough, or honest enough, to listen to that definitive (and quite simple, for a scientist) evidence. I have been saying for some time that all of our institutions (AAAS, NAS, APS, AGU, etc.) have been suborned by the incompetent climate consensus (and of course, the cheerleading media). What makes this climate hoax greater than even the insiders among the "consensus skeptics" (a.k.a. "deniers") know, is that the greater the authority of the institution, the more its subornation is tied to a religious belief in evolution theory. That is to say, they think that opposition to the global warming idea is tied to a "creationist" denial of evolution (when they don't put such "denial" down to the evil of "Big Oil corporations"). And it is, in a larger context that both they AND the skeptics don't yet even imagine can possibly be true: The bad theory behind global warming is just the tail of the dog of the general evolution paradigm, that science has hewed to since Darwin: That everything we observe in the natural world is the product of undirected physical processes, without any deliberate design as even most scientists believed before Darwin. In such a paradigm, the Earth is all too easily seen as unstable (rather than the harmonious, repeating dynamic stability man has observed throughout history), and therefore can be subject to runaway climate ("ice ages", as well as "global warming"). That paradigm is now failing, increasingly openly, as the incompetence of scientists grows, as they struggle to tack on layer after layer of theoretical "natural" processes--like the non-existent "greenhouse effect"--to their "explanations". I am the only scientist in the world, so far as I know, who really, professionally knows this, because of my discovery and verification of the "great design of the gods", the highly fragmented and misunderstood knowledge of which--passed down by the "gods" to their offspring, historical man--was responsible for all the "ancient mysteries" of mankind's most ancient religiously-held beliefs. Pretty soon the only people with money will be the government. That's the way socialists want it. I hope Aussies rebel in a massive fashion. We must all keep attacking the Warmists and the scientists who have sold their souls for a loaf of government bread. Is this entire hoax, supposed to be the mother of all hoaxes? Are you seriously trying to argue that global warming doesn't exist? Please answer back. Yes, Green Apple, that is what I am saying. There is no global warming. The Earth began to cool in1998 and has contined since then thanks to a reduction in solar radiation. It's not hard to secure this data. The perpetrators of the hoax, as their "Clamategate" emails revealed, were aware of this and worried that the word would get out to the public. @Green Apple Energy - surely this isn't the first time you've heard it's a hoax? Where have you been the last few years??? No one is as blind as those who don't want to see. Open your eyes once in a while and smell the truth - not the one you've been fed by your collectivist green buddies. Sharone, even if the planet WAS warming up, there is no reason to believe that humans have anything to do with it. How would you explain the fact that there have been numerous times throughout the earth's history when the land I currently live on has been alternately covered, then uncovered, with hundreds of feet of ice? Humans weren't even around back then. An excellent article by Alan - as always! One might - regarding this article's theme - mention what James Delingpole, a fine gentleman from Britain, states in his "Watermelons": "Never has so much paranoia been generated, so much money been squandered, so much nonsense been spouted, so many lives been constrained, so much economic damage been inflicted, so many bright futures been stunted on the basis of so little evidence. Such is the crying scandal of Climate Change." There has been no warming since 1997, according to the main perpetrators of this hoax. One of the ways that Reality Bites back is with economics. The surge of activity rippling out from the fracking discoveries is revitalizing many parts of the economy once left for dead. Believe it or not, steel mills are re-opening and modernizing in Ohio -- just one of a plethora of examples. The Great Obama Oppression Depression is breaking down despite his best efforts. 1.7 Million Warning Signs Page Views!